WASHINGTON, Stella Igwe-Adesoga, Per Second News--- Ahead of the Monday morning meeting between visiting President Muhammadu Buhari, and President Barak Obama, the United States has decided to unblock the sales of Military equipment and U.S attack helicopters to Nigeria's Military to help in fighting escalating insurgency, Per Second News gathered Sunday evening in Washington. U.S. law forbid the sale of certain arms to militaries accused of gross human rights abuses and Amnesty International has accused the Nigerian army's leadership of complicity in the death of 8,000 detainees in the battle against Boko Haram. Nigerian soldiers have said they are outnumbered and outgunned by Boko Haram and often are sent into battle with no food and just 30 bullets each. President Buhari has promised to investigate and prosecute perpetrators, while also cleaning up the Military. "We're looking forward to what we can do with a president who has staked out an agenda that we think is the right agenda at the right time," the U.S. National Security Council's Grant Harris said in Washington ahead of the meeting. 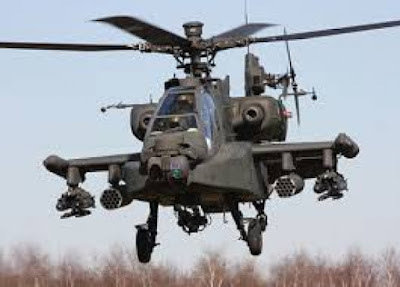 Due to Buhari's promise of cleaning up the mess and desire to mend relations battered by his predecessor's failures to fight an Islamic uprising and corruption in Africa's biggest oil producer, the United States will sell eight advanced Apache attack helicopters to Nigeria, security experts disclosed Sunday to tighten defense ties between Washington and Abuja and to beef up the Nigerian military. Speaking in Washington a US political analyst Goldman Anthony in African Arguments said that a military overhaul could include returning procurement to the Defense Ministry. "Privately, the new security commanders are warning of no quick fixes … arguing that Boko Haram infiltration of the army and civilian structures is a major unresolved difficulty," Goldman concluded. The deal is worth around $500m according to defense experts.